Wolf in the Fog is honoured to take gold in Vancouver Magazine’s Best Other Vancouver Island category. Held at the Sheraton Wall Centre yesterday evening, the 26th annual Vancouver Magazine Restaurant Awards reinforce Wolf in the Fog’s position as Vancouver Island’s leading dining venue and the award is a great measurement of success for the team. Combining an approachable and lively atmosphere with high quality and skilfully prepared menus, Wolf in the Fog appeals to both locals and tourists alike. “There’s nothing kitsch or hipster about Chef Nick Nutting’s lusty, generous and creative cooking,” says Vancouver Magazine. New spring dishes highlight freshly caught seafood from the waters of Tofino and locally sourced greens, meat and grains from Vancouver Island farmers. The team is gearing up for the annual Feast Tofino May 8-24, celebrating the town’s talented culinary community and boat-to-table cuisine. 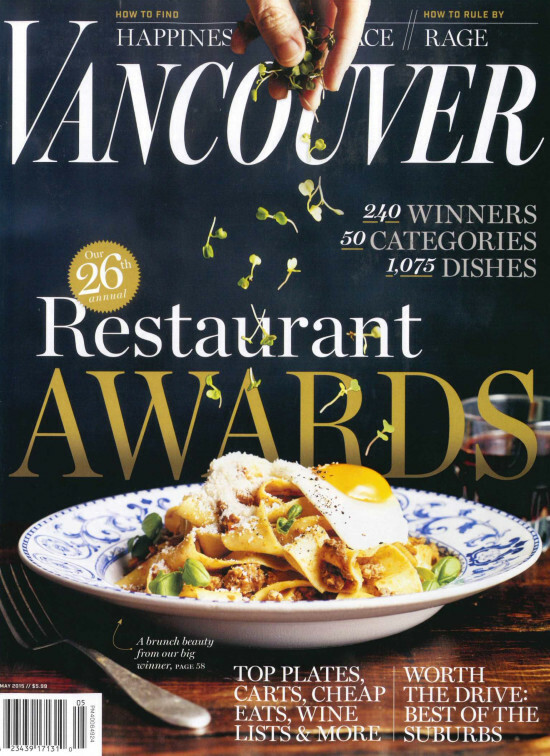 Wolf in the Fog are proud to add the Vancouver Magazine Restaurant award to their growing list of achievements, including being named Canada’s Best New Restaurant 2014 by Air Canada’s enRoute Magazine. The team at Wolf in the Fog are humbled by these honours and grateful for the continued support of culinary influencers across Canada. Wolf in the Fog is open for lunch 9am-4pm, happy hour 4pm-5pm, and dinner 5pm-late. Please call 1-250-725-WOLF (9653) or visit www.wolfinthefog.com for reservations.